6.95mm x 19.3mm / 0.274in. x 0.76in. Gardening Shovel Charm by Rembrandt Charms. The height is 3/4 of an inch. 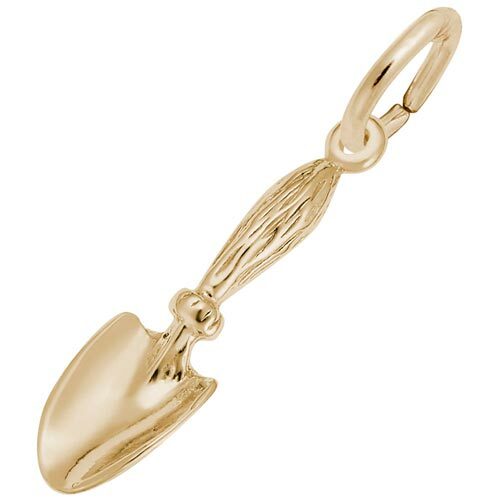 Grow you own collection and add this Gardening Shovel Charm. This item is sure to root itself as one of your favorites. The gardening jewelry piece can be placed on a necklace as a pendant or will be a wonderful addition as a charm for a Charm Bracelet. All Rembrandt Charms are available in either silver or gold.